Favorite Memory: When, during my freshman year, I dropped on a medicine ball on my face! Advice to the Team: Impossibility is nothing more than a belief. Anything can be made possible if you want it to be. Many of the worlds greatest thing were once believed to be impossible. Future Plans: Attend DMACC for engineering and then transferring to Iowa State. 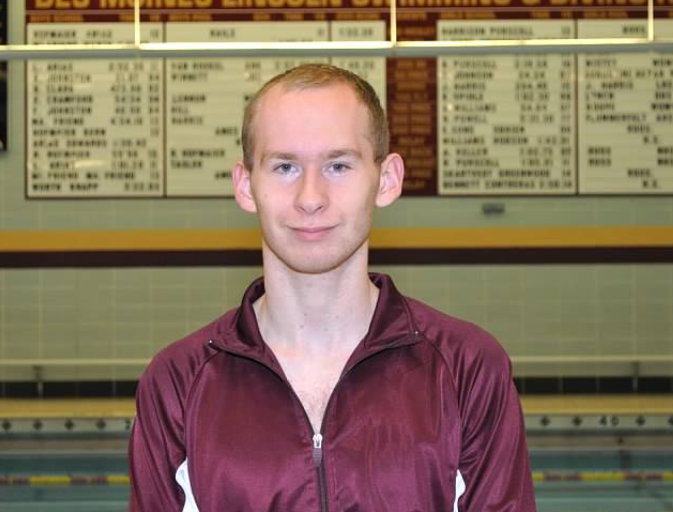 Coach’s Comments: Caleb has been part of the southside swim programs for years, even back into middle school. He has shown a lot of determination and adaptability in the sport, swimming both distance events and stroke events. Plus, he’s part of Varsity and Junior Varsity relays. His strength of character will definitely help him outside of the pool as he tackles the next chapter in his life.